Jim Bullard focuses his practice on family law and civil litigation, particularly related to property division, support alimony, child custody and child support orders and modifications. He also has experience drafting, enforcing, and invalidating prenuptial and postnuptial agreements. Jim is also one of the few attorneys in Oklahoma with experience in litigating virtual property rights. Jim regularly practices in Tulsa, Wagoner, Rogers, Creek, and Washington Counties and has extensive courtroom experience, focusing mainly on divorce and child custody matters. While at Washington and Lee, Jim won the 2008 Client Counseling Competition, the 2008 Mediation Competition, and was a Finalist in the 2007 and 2008 Robert J. Grey, Jr. Negotiations Competition. 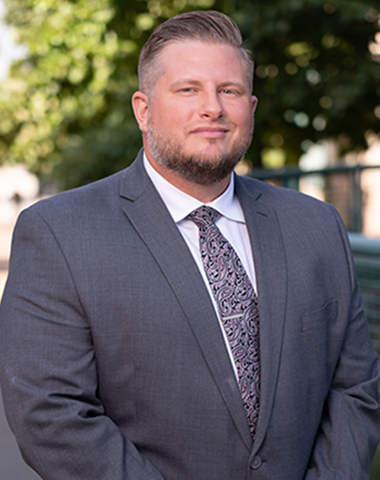 He represented the school in the 2008 ABA Regional Competitions for Client Counseling and Mediation, coming in third place in Client Counseling. Jim served as a justice on the Student Judiciary Committee, a student-run council in charge of upholding Washington and Lee's Honor Code, on the Executive Board of the Student Activity Organization, as the President of the Irish-American Law Student Association during 2007 and 2008, and as a staff writer for the student-run newspaper, the Law News. He was also active in intramural sports, serving as the 2008 Sports Czar. At SUNY Oswego, Jim served as the Vice President of Scales Hall and as a Senator for the Student Association. He was a staff writer of The Oswegonian newspaper, a co-creator and staff writer for the Speak Easy Society Newsletter, and played on the Varsity Lacrosse Team in 2001-2003. 05.01.09 Employment: All Creditors Must Address Red Flag Rules By 5/1/09 - Are You A Creditor?